Jose, 4, of Bolivia, attempts to stand still while being photographed. If you’ve ever browsed through Compassion’s photos of children available for sponsorship, you may have wondered why so many of the children look unhappy. It’s not a marketing ploy to tug at your heartstrings, and while these children are living in poverty and maybe in difficult family situations, that’s not usually the reason for sad expressions. In reality, it’s just difficult to get a child to stand still for a photo. On photo day, there are many children standing in line waiting to have their photos taken. Compassion has some guidelines for the photographer to follow in posing the photo as well, so it can be challenging. Follow the link below to see a wonderful video of our sponsored child Jose in Bolivia on picture day a couple of years ago. He was four years old at the time, and you can see for yourself what these photographers go through to get a decent photo. This video was taken by a sponsor who visits Bolivia regularly. 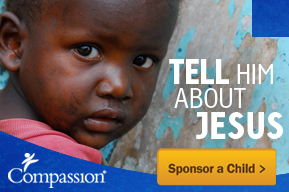 Compassion updates children’s photos every 18-24 months. This entry was posted in Compassion International and tagged children, Compassion, photographer, photos, sponsorship.